Emma Murray (PhD Candidate) was awarded a five year fellowship from the NIH (NRSA, F31) for her proposal to characterize novel mitochondrial peptides in heart failure. After a year of revisions the NCLX paper was finally accepted at Nature. The focus of the work was defining the contribution of the mitochondrial sodium/calcium exchanger in cardiac physiology and disease. Congrats to Tim! 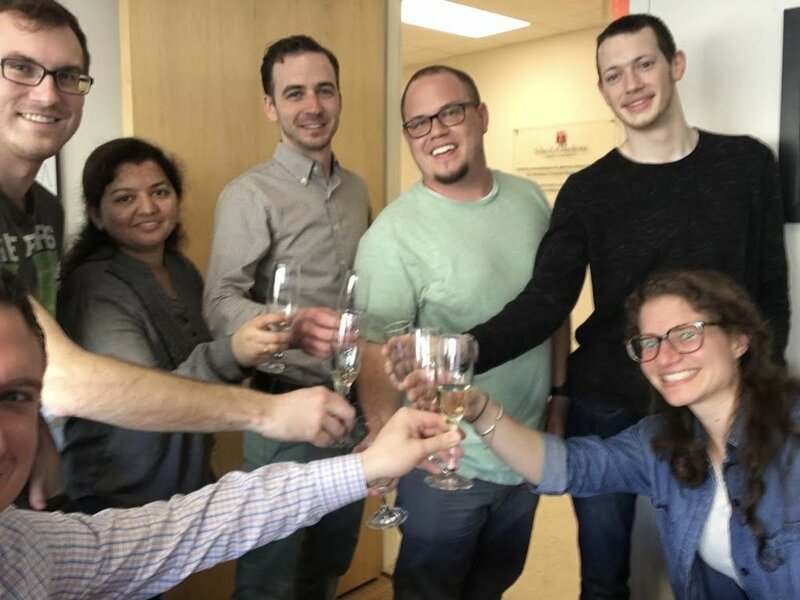 Jonathan (PhD Candidate) was awarded an American Heart Association (AHA) Predoctoral Fellowship for his proposal on the function of MCUB in cardiac physiology. Congratulations Jonathan! Alyssa Lombardi (MD/PhD candidate) was awarded a predoctoral fellowship from the AHA for her proposed work on understanding necrosis. Congratulations Alyssa! Tim was awarded the AHA predoctoral grant for his proposal on MCU's contribution to heart failure. Congratulations Tim! The published ts first research article in Cell Reports. The focus of the work was defining the contribution of MCU-mediated calcium uptake to cardiac physiology and disease. Congrats to Tim on his first paper! The work was also picked up by a couple news outlets.